Welcome, my dear! What's this you say? A mad tea party is scheduled today? That my tea party is perfectly sane. 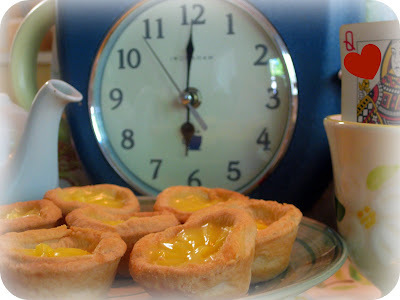 Come, sit down, have some tea and tarts. I do not know the Queen of Hearts! Clearly it isn't six o'clock. You must be imagining that grinning cat. Next you'll be seeing a man in a top hat. 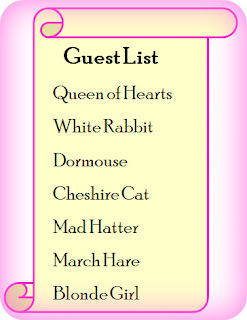 My guest list doesn't include a White Rabbit or Dormouse. Nothing at my table will make you small. Nor are there drinks to make you tall. Your height will not change if you knit just a bit. My party is not what I claim it to be? You suspect there is madness among the confections and tea? Before you go, please leave me your card. I shall remember you with the kindest (and most perfectly sane) regard! Oh wow, "Knit Me", that is the best ever! I love any party that involves yarn! :D How fun! What a fun Mad tea Party! Lovin the "Knit Me" tag! Thanks so much for having us - please drop by for a visit when you can! So thankful that I could visit such a sane party. Mine was the opposite so I've had a delightful time here. Oh..I am already a tart...silly me! Thanks for having me for tea. I had the most wonderful time. 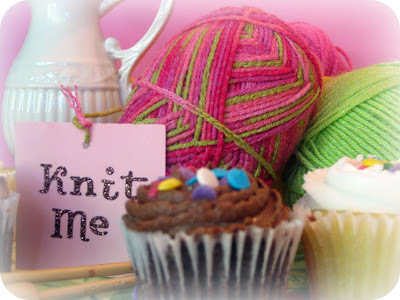 I love the 'knit me' as well as the sanity and prose abundant at your party. perhaps you'd care to share some tea with me? Lovely! I participated in this very tea party last year, but was out of the loop this time. The fact that there was yarn at your party makes me sure that I would have had a blast there! 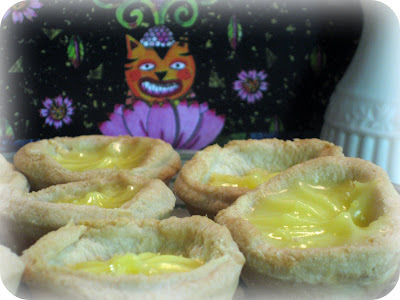 I loved the tarts! What a delightful tea! Thank you! What a lovely tea party!!! Once I hosted a real life "slightly dangerous" tea party...we drank tea, made earrings, laughed uproariously and had fun!!! I loved having tea with you and yummy tarts, girl makes me hungry! I love the sincerity of your party. Very lovely indeed. Your confections look scrumptious! What a delightful party...thanks so much for inviting me! I enjoyed your tea party! Mad or not! I love it! LOL! In exchange for the sane, I will swap you some madness. Only a little. It involves eating the queen's cookies, but if you eat some, I'll never tell! What a fun tea party! And your tarts look fabulous! I was terribly late for your party. Sorry, sorry..... but I'm here now and I love knitting alto I haven't done it in a long time! It's fun to meet new crafty and passionate people! If you care for some more tea, you're very welcome at my place! Very cute, a brilliant move, frankly, to hold a perfectly sane tea party in the midst of such madness! Lovely tea party and thanks for sharing with me! What a wonderfully smart event! I had loads of fun! Thank you for having me over! How fun! What could be more perfect than those lemon tarts, tea, and Knitting??? He he, knit me - too cute! Thankyou for having me today...sorry I was a little late...I have travelled all the way from Australia, so it took me a little longer than most! How lovely! Your tarts look delicious! I'm sure they go wonderfully with tea...and knitting,too! I don't know how to knit, but perhaps I can crochet a chain. That is as good as it gets with me and yarn. If you haven't already, please stop by. It is not to late to enter my giveaway! I love you "Alice" blog. Well done and very creative. You know that I love your writing style and this post confirms that fact. And, great photos as usual. So go to your dresser and shout Hurray! For it's a pullover soaked with Earl Gray!